University of Westminster Press, 9781911534723, 156pp. The Big Data Agenda concludes that the use of big data in research urgently needs to be considered from the vantage point of ethics and social justice. 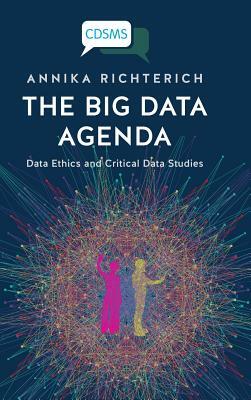 Drawing upon discourse ethics and critical data studies, Richterich argues that entanglements between big data research and technology/internet corporations have emerged. In consequence, more opportunities for discussing and negotiating emerging research practices and their implications for societal values are needed.